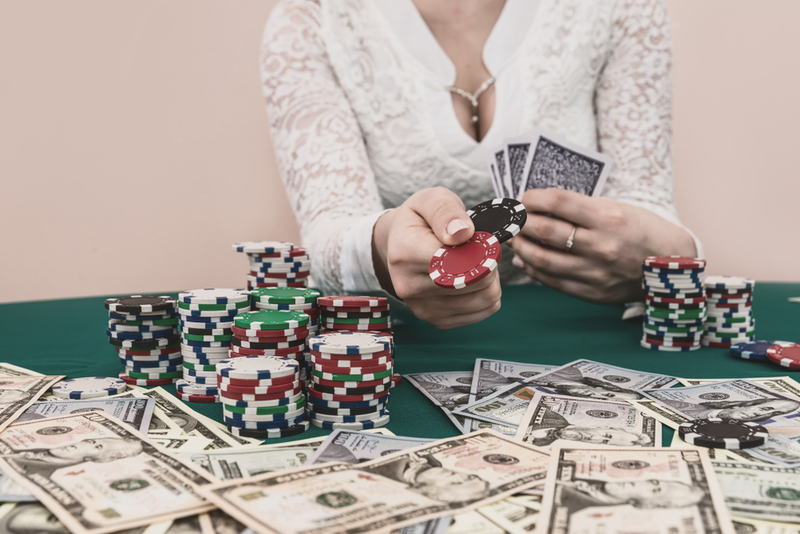 Both seasoned players and those learning how to play poker for the first time should always try to keep in mind the best tricks of the trade, even those that are considered rather under-handed by some. The poker check raise is precisely one of these tricks, often referred to as ‘the strongest, most effective move on the table‘. So notorious it is that some hosts will ban the check raise completely from their house rules for private games, nor is it usually allowed in the ‘California lowball’ (also known as Draw Poker) variation of the game. What is a check raise? In order to understand the check raise a player must first understand the two terms of play that combine to make it: checking and raising. The latter is simple enough to grasp for anyone who’s heard the basics of poker before (deeper explanations of Texas hold’em and other poker variations can be found elsewhere on this website for those who’d like a quick revision). A typical round of poker consists of play rotating clockwise, starting with the player to the dealer’s immediate left, who will usually place the first bet. This is known as an ‘open’ – think of it like opening a game. Following this, other players around the table may ‘call’ and match their opponent’s bet, fold and drop out of the current round, or ‘raise’ the bet if they’re confident in their own potentially winning hand/ bluffing abilities. If the latter, they’re hoping to bluff their opponent into folding though they may in fact have a stronger hand. As players in the early positions to the dealer’s left have to bet first to open the play, this is often considered a disadvantaged position to be in. But this is where the check comes in. Checking allows a player to essentially skip their turn, refusing to open as they may not be confident enough in their hand to risk losing the bet. Thus, it passes to the player on their left to open the pot and begin betting. However, let’s say the first player believes they potentially have not a weak hand but the strongest hand, and they want to make sure they get the most out of it? This is where a check raise may come into play. It essentially means checking, letting others open and raise the pot, before entering play and raising it yourself. Many good poker players will check first with full intention of raising at the right time later on. Even if they aren’t starting with a strong hand, they may rely on bluffing their way to a win by intimidating other players around the table, suspicious of their intentions, through an unexpected check raise. Now you may think, considering the potential benefits of this move around a poker table; why doesn’t every player starting in the early position just use it all the time? Well, the last thing a poker player wants to become is predictable. Over-using a check raise will inevitably lead to others being able to read your game more easily. And if you use it as a bluffing technique too often, there will be times when it comes back to bite you hard – bluffing isn’t a firm strategy to be relied on consistently, as other players will soon stop falling for it. It’s important to remember the check raise is a move that should be respected rather than used flippantly. Don’t simply use it for fun or you’ll be wasting an otherwise strong play. Know why you’re using it and plan well beforehand. Is it because you’re so confident in your hand that you just want to build a bigger winning pot for yourself, or do you intend to bluff your opponent into folding? Or perhaps you’re slightly unsure of your starting hand’s strength and want to continue strong in the game with a semi-bluff, in case things work out in your favour (a common trait of experienced players who can read the game well). Stick to the plan and be confident in your play. Check raising is possible in most versions of online poker, where the same general rules apply. In fact, online may be the best place to practice if you’re new to the move, before catching your friends/ competitors off guard by employing it in live physical play. Using it continually may not win you many friends among your fellow players, but it is nonetheless an invaluable tactic that, when used right, could help you win big and win often at poker!